Waiting On Wednesday is a weekly meme hosted by Breaking the Spine. Each week you are able to spotlight the up-and-coming books you are looking forward to! I love this series!The first three books were a fantastic mix of mystery, suspense, and romance. 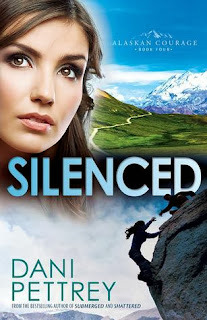 Silenced is also offering a look into a character has led a quiet life, but whose past has finally found him. I can't wait to read more on Jake and on Kayden! I CANNOT WAIT FOR THIS BOOK TO COME OUT! I'm so in love with this series! Great pick! Leydy, It's a great series! Thank you for stopping by! Rissi, I can not wait for the discussions on this book! I know it's going to be fun!